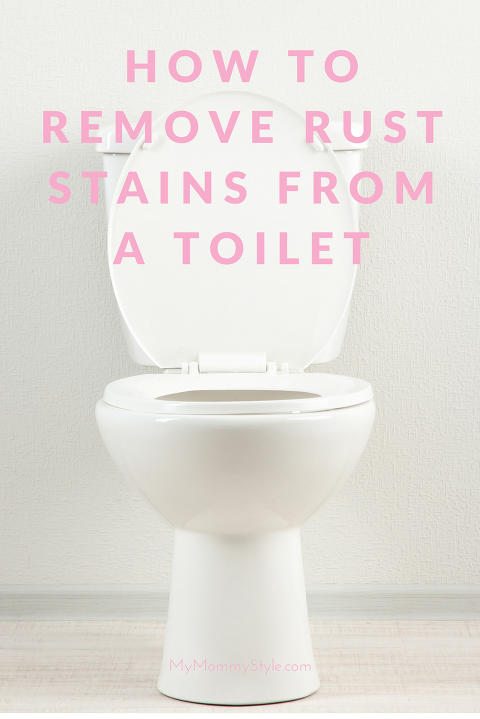 Do you have a toilet bowl with stubborn rust stains? Have you tried everything you can think of to remove them with no luck? Well, so did I and then I discovered how to remove rust stains from a toilet bowl. It’s easy and all-natural! I’m so excited to share this secret! I live in one of the most beautiful places in the world, if not the most beautiful place in the world, if I do say so myself. 😉 Alaska is gorgeous. When I think about living here I think of crystal clear lakes, blue glaciers, blankets of white snow and clean air. So with that in mind, who knew that our water would be so extremely hard and iron rich!? It’s actually hard to drink the water that comes from our tap because it tastes so nasty. It probably has to do more with the fact that we all have well water, but either way the tap water was not what I was expecting when I moved here. The first time I filled the bath it was tinted orange! Anyway, we have found ways to deal with our drinking water, but I haven’t been able to find something to clean our toilets. They get so nasty and it didn’t matter how often I scrubbed them or how hard I scrubbed them. Until now! 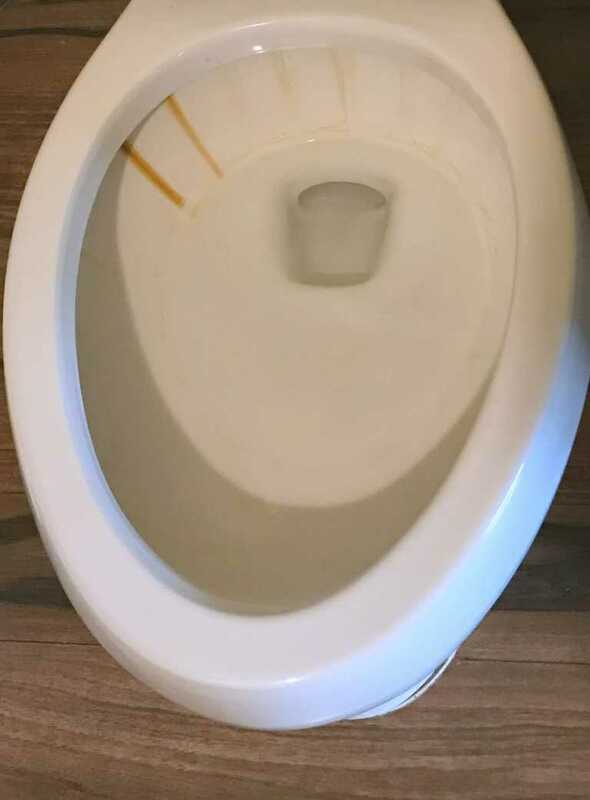 After all my years here I finally found something that got rid of all the stubborn orange rust stains in our toilet bowls! Click here to read the hundreds of reviews! Here are some before and after pictures of my toilet bowl. This was after about 3 minutes of scrubbing! I had seriously given up all hope for those to come off. I had even tried products full of chemicals that are specifically made for rust stains. I would scrub with all the elbow grease I could muster for as long as I could stand with no noticeable difference. The toilet is still not perfect. There are still hard water deposits there in the picture, but I was so impressed with how easy it was to use the pumice stone that I didn’t finish. It’s a soft pumice that is a fine grit so it won’t scratch your toilet. No chemicals! It’s safe to use around kids. Work on a wet surface and have the stone wet all the time. That’s pretty easy since you’re working in water. It sounds like fingernails on a chalkboard. I guess there is a price to pay for it working. I had to turn on music to drown out the sound. I’d say that’s the biggest negative and complaint I have about it! 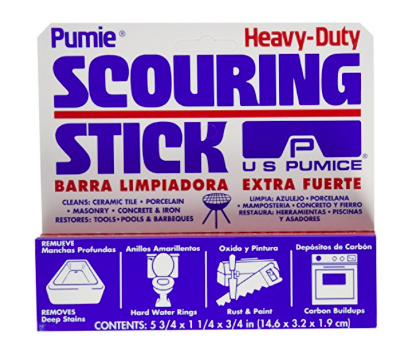 From what I’ve read it could wear down the finish of your porcelain toilet faster, so I don’t plan on using the pumice stone every time, but it’s nice to have around when it’s time to deep clean mineral deposits and rust stains.